Joel Worrall is the Chief Technology Officer for CURE International. He and his team spend their time building online products and experiences that support CURE's work to heal kids with treatable conditions throughout the world. Joel is a passionate advocate for the application of software business principles and tools to the nonprofit sector. Learn more about CURE and the kids they serve via cure.org/curekids or download cure.org/app. Our guest this week is no stranger to doing good in any world, Joel Worrall, CTO of CURE International. Since 1999, he has been working with Internet-based technology as a software architect, executive, and consultant. 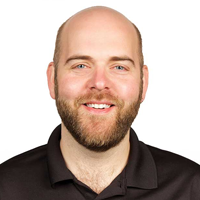 In 2009, Joel joined the management team of CURE International and serves today as their Chief Technology Officer. At CURE, Joel and his team are working with open platforms and tech communities to pioneer ways for software business principles to influence the way charitable work is both conducted and supported. Joel holds a bachelor's in computer science from Messiah College. Joel, welcome to BetterWorldians Radio. Thanks for having me, guys. Its great to be here. Id like to begin with a few questions sort of in general. Can you tell me a little bit about CURE and its mission in the world? Yeah, absolutely. 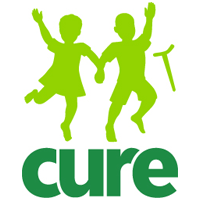 CURE International is an international charity that focuses on running a network of hospitals and surgical programs throughout the developing world and our primary focus is on treating the most vulnerable members of society, people children who are born with a treatable disability. So there are about one hundred million children in the world who are living with a condition that is actually surgically treatable and correctible and through that intervention, they can have just a radically different life. And our mission and focus is to focus our energy and resources on running surgical quality, surgical facilities, hospitals on caring for those people in society that are the least cared for in their healthcare systems. What kinds of surgeries are you actually talking about here and approximately what would they cost? Yeah, so were we think about what we do as three main focuses. So we do a lot of orthopedics, literally taking people who cant walk and making them people who can walk, a lot of spine surgery, legs, a lot of orthopedic procedures. The second category is we do a lifesaving neurosurgery for kids either born with spina bifida or we treat more hydrocephalus in the developing world than anyone else which is the condition where if you have ever seen the pictures of the children with very large heads, really small babies, its a life threatening brain condition that is treatable through a surgery that takes about an hour. And then also a lot of reconstructive surgery. So kids that fall in fire and they have some sort of burn contracture as well as cleft lip and pallet. And then we do some measure of maternal care also in parts of the world like Afghanistan. Now, why did you decide to focus on children and particularly on children in the developing world? Yeah, so that actually has everything to do with our founder. So our organization was founded back in 1996 and our first hospital opened in 1998. We were started by an orthopedic surgeon, a really brilliant guy named Scott Harrison. He had come out of the business world but had also been a surgeon for decades, had served in the Vietnam War as a surgeon, and had run a successful orthopedic practice. And he and his wife were motivated by their faith to go out and do short-term mission work to take care of kids like this sort of in the 80s who had these sorts of conditions. So they would go out to a place like Malawi and theyd do a lot of work to help children. But Scott saw some really major concerns with that kind of work. He knew that these kids were kids that really needed served. He didnt feel like a short-term mission model was really the best way to treat them from a surgical perspective. To get the kind of quality outcomes that we would expect in a Western context, what you needed to have was a permanent facility with permanent docs and a real focus on training up nationals; national surgeons, national nurses, national administrators to be able to run a hospital in a top quality way and be able to provide this kind of care to these kids so youre not just able to do a good surgery but also have the right follow-up care. What kind of a stamp does the CURE International have on the world? What kind of countries ranging from one end of the spectrum? Yeah, so were in twenty-nine countries around the world. We have hospitals and ten of them, our latest hospital is going to open hopefully this summer in the Philippines on the island of Mindanao called the Tebow CURE Hospital. Its in partnership with the Tim Tebow Foundation. And so we have a presence in twenty-nine countries around the world and we have seen throughout our fifteen year history, we have seen over 2.1 million patients, provided over one hundred and fifty thousand life changing surgeries, and in that time we have also trained over sixty-six hundred medical professionals in what we consider to be top quality first world surgical practices and the care of these kids. And to do all of that, one of the things I neglected to mention is that weve got to raise about one thousand dollars for every surgery that we provide. Weve got a real strong focus on sustainability of the hospitals and do lots of things to actually try to raise support even in the country. But from the Western side of the world, we basically need all we need to raise is about one thousand dollars to be able to take a child who cant walk and turn them into someone who can walk, who go to treat someone whos got a life threatening condition and provide them the surgical intervention that is actually going to save their life. Thats amazing. And what would that cost in terms of a hospital facility in the US? I mean, most of these procedures are no less than tens of thousands of dollars, in some cases well into the six figures for some of the more fairly complicated things that we do. And so for us, were able to do that because it is a charitable activity because the doctors who are serving with us are doing it because of the mission and they are focused on the care of these kids and the really great medicine. I mean, its exciting and its wonderful medicine that were able to practice in these locations. Really in a lot of ways in some ways more innovative in some sense than some of the stuff that might happen in some Western context. But yeah, people are there sort of for the right reasons and so that creates the kind of cost structures that make it possible for us to be able to provide a top quality experience at a low price. What are these hospitals like? Yeah, theyre a little bit different. So theyre not like, you know, the hospital that my children were born in. I have a two year old and a one year old and you know, its like the hospital downtown in the city I live in, its seven stories tall. Its probably its got hundreds of beds in it. For us, most of our facilities are more of like a specialty surgical location so were talking about a couple of wards that have about between thirty and forty beds in them and those beds are filled almost all the time. And for us to the whole cycle of the way our week to week works at least inside the hospitals is people will travel from very far, check into the hospital Sunday night, well do the evaluations and rounds Sunday night and Monday morning, and start scheduling kids for care. These are kids that we have seen in a clinic previously so weve invited them to come to the hospital that particular week. And then well well go through six to eight nine surgeries on a Monday, Tuesday, Wednesday, and with the intention of, for as many of these kids as it is medically feasible, to be able to allow them and their caregiver to check out at the end of the week so we can start the whole process over again the very next week. And of course that doesnt happen with every single child. Some kids stay with us for a number of weeks but that is the general flow of the way things work and that is why it is possible for us to do an awful lot of work with a facility that only has, say, thirty or forty beds in it. Have you had a chance to visit any of these hospitals yourself? Oh, absolutely, yeah. They are really its hard to explain. If youve never been to a developing world hospital, its hard to explain how different a CURE hospital is from any other place youve ever been to. You know, so a lot of places with all due respect to the people that are trying to serve well in some of these locations even in capital cities in developing world countries, many times it has a feel that it is very dark, dingy. It feels like the sort of place you go, frankly, to die. And for us and that is sort of the sense that a lot of people in the developing world have about a hospital experience. At a CURE hospital, its a completely different feel. Its clean. You are sleeping in a bed that were taking care of you in. Were feeding you which isnt always necessarily a common practice. A lot of times caregivers have to bring in their food from the outside. And were and its bright. It feels like a childrens hospital and it is staffed by people from your own country with a handful of maybe Western faces around as well. And it has this, like, very lively feel to it. A lot of the parents and the kids that come to us have the sense that I think we cant really fully appreciate in the Western world of curse, that, you know, somehow being born with this condition means that youve been cursed in some way either by your ancestors or by something that your parents have done. Parents feel a lot of guilt and shame over these kids and so for us, like, to be able to come in and say no, we love you. Were here, motivated by our faith to be able to express to you that, like, you are loved, that you are appreciated. And they get the actual communal sense of hey, Im not the only one. Im here. Im here in a ward with thirty other moms that have kids just like this and were all going to have this communal experience over the next week to two weeks of what it means to be a part of restoring our kids on a physical level. And hopefully we hope that it creates a kind of community that makes it possible for people to really start to have a change in their heart and their attitudes and their emotions as well. Its amazing work that youre doing. I we visited your organization some time ago. Well talk a little bit about that a little later on in the show but I am always sort of taken aback that the scope of this started in a very small way with Scott and Sally Harrison. And a lot of the themes that youll be hearing in our shows on an upcoming basis have to do with small acts, little courageous acts leading to such big differences in the world. Yeah, absolutely. I mean, for me, I have always looked up to them so much because here is a couple of people who they were sixty years old when they started this organization and at a moment in life when they could have just packed in and decided that they were going to just go buy another vacation home, these two devoted their lives towards the care of kids that nobody else cared about. And yeah, I agree. Its inspiring. It makes you feel like, yeah, I could do that too, you know. I could make a difference. Yeah and we really compliment you guys and your organization for making a huge difference. Were going to take a break right now but please stay tuned. Were going to be talking more with Joel when we come back about the impact CURE has had on the world and on the children that they have performed these surgeries with. In the meantime, you can learn more at betterworldians dot com and follow our live tweets at Twitter dot com slash BetterWorldians. Be right back. >> The Internets number one talk station, voiceamerica.com. >> How can we make it a better world? >> I think we can make it a better world if we had peace among each other. >> Everybody needs to help their neighbor and then it will spread from there on. >> I should do more. >> I could do more. I spend so much time on Facebook. >> How much time do I spend on Facebook? >> Probably more than I should be spending. >> I would definitely give back if I could find the time. >> Now you can help others just by playing a game on Facebook. Its called A Better World. Share your hopes and dreams, do good deeds, make a difference, and have fun. Become a betterworldian. Join a community where all good deeds get rewarded. Log in today to find out how you can make a difference every day. >> For more information, visit facebook.com/abetterworld. >> What would you do if you knew that you could not fail? The Dr. Pat show with Dr. Pat Baccili is a radio forum for some of the worlds most influential people in the fields of health, wellness, and human potential. Dr. Pat brings together and introduces visionary scientists and futurists, environmentalists, educators, business leaders, inventors, film makers, authors, artists, mystics, and healers who inspire and support individual and collective growth and positive cultural shifts. This award winning radio show empowers the listening community to be the change they want to see in the world. Tune in every Thursday at 8 AM Pacific for the Dr. Pat show with Dr. Pat Baccili. Radio to thrive by. >> Ask the experts. Call toll-free right now. 1-866-472-5787. >> Hello? >> And ask our all-star team to answer your question. That is 1-866-472-5787. >> Thank you for calling. >> Voiceamerica.com. >> This is BetterWorldians Radio with a family team of Ray, MarySue, and Gregory Hansell. To connect with the show today, please call us at 1-866-472-5788. That is 1-866-472-5788. You may also send us an email to radio at BetterWorldians dot com. Now back to BetterWorldians Radio. Hi Joel. I was really amazed to hear all of the things that youve been saying about CURE. One thing that was remarkable, did you say that the founders started at sixty years of age? They did. Yeah. They started this organization when they were both sixty years old and led it for fifteen years and actually just stepped down from leadership in the organization about a year ago. Exactly. Its never too late, you know? Its never too late. I wanted to ask you a bit about the kids. What has been the impact on the children? Is that impact strictly physical or is there a cultural and psychological impact as well? Oh yeah, absolutely. I mean, the impact we talk about the impact as sort of in these concentric circles of what happens, like, through changing one childs life what happens? And it has an impact on the child, the family, and even on the community. So let me try to explain a little bit. So and there are multiple levels. Its about economics. Things have changed. Some of it is about things that happened for people emotionally and spiritually. So a great example. There was a young woman that we were able to treat in the Dominican Republic who had a severe issue with her legs. And because of this severe circumstance with her legs as a child she was about thirteen or fourteen years old at the time her mom wasnt about to work, right? So they were a very poor family living in a very poor part of the capital city in the Dominican Republic, Santa Domingo. And so living in this, like, very, very impoverished state and clearly didnt have the funds necessary to be able to provide the kind of care that their daughter needed. Nor did they even know if there was any place that could treat them. And so what we were able to do is by coming in and actually giving this girl essentially the capability to walk, she actually needed some prosthetics. We were able to not just improve her life and her outlook on her life because she was able to go to school, she was able to have better relationships with friends and really start to engage with the world as in a more whole way because things just are very different in the developing world when it comes to how people are treated if they dont have the ability to do things like walk. But because of that, what happened also with her family is because she was going to school; Mom didnt have to stay home with her anymore. She was actually able to go out and get a job herself as well. And when we came back to actually visit her a year later, they werent living in the same home. They had moved sort of up the road and actually now they had, like, they had some farm animals and, you know, their means were so extremely meager. But it was obvious they had this big impact sort of in the economic status of the family because we had been able to come in and actually sort out things there. I mean, the reality is, and I just think we cant really appreciate this fully in the Western world, that when youre living in a society where you dont have enough for anyone, particularly in a family where you dont have enough for anyone, this child who has these severe conditions just is another, like, sort of big rock in the pond of all of the negative that has gone on in your life. So when youre able to actually come in to rest that issue, its like youve given them a whole new family. What happens in the way everyone relates to each other and the way the community treats them radically changes. We have heard stories in the past that a little girl from Ethiopia who was born with a cleft lip and palate and because of the fact that we were able to come in and treat that condition, the entire community had rallied around the family in a brand new way because they had the sense that there was a common held belief that someone this child was cursed and so it was someone to stay away from. Now, you know, people come to see that family. They accepted that family. They were more a part of each others lives and were actually able to start to change peoples minds about even this false notion about what it means to be cursed and to be able to say, no. These are all people who are loved and respected and whole and weve had a chance to actually have a positive impact on their lives and their community and their family. You know, I was really surprised to hear that that still happens these days, that these children are felt that they are cursed and they are shunned. Is that still prevalent? It is in a lot of parts of the developing world, particularly in a lot of African contexts. The prevalence of sort of more traditional African religion tends to lead towards maybe some superstitious perspectives on the relationship between what happens to you physically and what is happening in the unseen spiritual world. So yeah. I mean, we run into that a lot and in a lot of the contexts in which we operate in Africa especially. But its really some prevalence in a lot of the underdeveloped worlds. Well this is certainly a hugely important mission that you are doing there at CURE but it seems very big. But how can the everyday person that may be or our listeners, what can they do? Thats such a great question. Yeah, I mean, we actually, we talk about this a lot that, you know, sometimes the numbers of, say, the number of kids that are out there who need this kind of treatment, it can feel overwhelming. How can anyone do anything? But what we really try to do is to boil it down into the individual people who are being cared for by CURE and giving you visibility into who they are. So you can actually go onto our website and see here are the kids that were treating right now. You can come around and you may not be able to do everything for everyone, you know, but its sort of like the starfish analogy, right? I can do something for this one person. I can advocate for this person. I can potentially help support their surgery. I can I can send them a get well message and be part of their healing process while theyre in the hospital. So, you know, for us, were, you know, were saying yes. I mean, this is a massive problem but what were called to do and what we feel like were calling other people to do is to have an impact on the lives of the people that step through our door. You know, so for that one person we can sort things out for them and thats what we want to do. We just want to have the opportunity to do that for more and more individual people. Absolutely, yeah. If you want to learn more about who we are and what we do, we communicate online at cure.org. That is C-U-R-E dot O-R-G. cure.org. Thats great. Thank you. I know Greg has some questions for you also. Hey, Joel. This is Greg. How are you doing? You know, for an organization that is really hands-on all over the world, were hearing a lot about what happens in these different countries and different hospitals, you also have a very sophisticated technical imprint. Youve got a really great website. As the CTO, you know, Chief Technical Officer, of CURE, what is the importance to CURE of your virtual forum? Yeah. For us its really been transformational. So I joined the organization about four years ago. Were about a fifteen-year-old organization and I had been tracking with the organization for about the last ten years and then a donor. About four years ago I came on staff as the first technical resource the organization had ever hired. Wed never even really had an IT rep in in headquarters. And what brought me to the organization was a vision that we had about the way the Internet could be used to help lift up the stories about these kids that we service and to be able to help rally people around them and really, I know or had some inkling that it would really have a transformational effect on even how we do what we do as an organization. So for us, you know, when you think about where we were four or five years ago, we used to communicate once or twice on our website online, you know, through a press release that got pushed out from headquarters. But we shifted. We made some very strategic decisions about even the platforms that we choose to use. So we moved to a blogging platform as the basis for our website because we wanted to put tools in the hands of our folks in the field to be able to tell the story of who we are and what were doing everywhere were doing it. And we wanted to build this platform, this technical capability of tracking and reporting and engaging people in the lives of the people were serving. That meant that we needed to build some technology that was going to be Internet-based. So our system, you can, Greg as you know, go online and give a gift towards a kids care or you can choose to just follow their story. And you get electronic updates on your Facebook account or in email that tells you exactly what happens the whole time theyre with us. So the technical implementation of that, we wanted to be really intentional about making sure that that was an Internet-based technology, that it was built into a platform, WordPress, that was easy for us to be able to train people in so that as we bring people into the field to do that kind of work, it was easy to address those issues. And we wanted to make it accessible for people so that there were it was beautiful to be able to engage with the experience but also that idea of seeing the results of what you did, seeing the results of even my advocacy would be really apparent to people. And that was all enabled by what we did from a technical perspective. And for us as an organization, its really helped us transform even the relationship with our donors where it is less like were CURE and we hope that people who are engaging with us in this experience feel more like they have some ownership in the organization. They actually are playing a part in one persons life to make a difference. Yeah. Its a really incredible website. Im encouraging everyone listening to go check it out. Its particularly for me, I love being able to follow the stories of these kids. You know, you see their pictures. You hear, you read about them, where theyre from, what theyre going through, the surgeries theyre going to receive, and then really have an opportunity to follow along with their personal journal and what theyre going through. And I think thats whats really powerful, Joel. Thank you. Yeah. And its given us, the fact that weve had that kind of capability has given us the opportunity to engage in some really innovative technology partnerships just like weve done with you guys. And so, yeah, that has been really gratifying for me as a technologist, really gratifying more me as well to be able to say yeah. We could create a really awesome custom experience between two different technology platforms because we built this the right way and weve got the kind of talent in house to be able to sort of think about a problem, solve the problem in a few weeks. Yeah. Yeah, actually just let me talk a little bit to our listeners about that if you dont mind. Cure and A Better World, our virtual world on Facebook, had a partnership together through our cause, gaming initiative. Its our reach for the stars community goals and we worked with CURE to develop a system so that players in our positive post thats a location in town in our game can actually send real get well notes to children recovering or, you know, about to enter CURE hospitals. And we sent we actually challenged our players to send a thousand of these in one month and of course were worried. You know, this is Facebook. You know, this is a virtual world. Is this too heavy? And what we found really blew our mind. Instead of one thousand, they sent over ten thousand in one month and there was a real outpouring of attention and love for these kids. You know, Joel, how do you see this as part of your strategy, you know, partnerships like this? Yeah, so for us we see we see it being one of these really wonderful mutually beneficial experiences where were we as an organization are providing an experience in the Better World game that is sort of so visceral and tangible because its about real people. Youre having an impact on real peoples lives and that is a great experience to be able to bring to the game. But for us also on a CURE side, its the opportunity to both do two things; expose people to the fact that there are kids in the world that are like this because for most people in the Western world, you may not have even ever met anyone that has a condition like we treat in our hospitals. And then also, its a tangible and valuable part of our operational mission. So for us, treating someone isnt just about providing great surgery. Its about the emotional and spiritual care were providing to these kids and their families while theyre in the hospital. And for us to be able to bring a message to someones bedside to say hey, I know how you felt or I may not, like, with experience know, but I have seen how you feel and may feel about yourself. But one of the things that is amazing for these folks is to be able to say here is someone from the other side of the world who has a message for you. They are actually tracking what is going on with your care. If they are a person of faith, they are probably praying for you. And they have got something to say to you. And these messages are always incredibly affirming to these kids and how they should feel about themselves, how the fact that they are loved and the fact that we believe that God loves them as well. And so, you know, that experience is not just its not just its an awesome tool for advocacy for us to be able to say, you know, here are these kids. Please pay attention to the fact that they are in the world but also just the impact that people are directly having on the lives of the children in our hospitals is really beautiful. Yeah. One thing that I would like to underline for the listeners is that, you know, part of the system that we worked out is that, you know, on the ground either by iPad or handheld notes, you know, the kids got to see these get well messages. I think weve sent over at least over sixty thousand at this point. Yeah. I think its actually closer to seventy-five right now. Thats amazing. Thats incredible. Do you know if these kids get to, you know, take these notes with them if they are handheld? Have any of them done anything like that? Whats been the impact? I know you said the bedside aspect of it is really important. Do you have a story of anyone who has been touched by this or, you know, what have you heard from some of the people? Yeah, you know, actually our CEO was traveling to our hospital in Zambia just back a couple of months ago and was walking through the ward and he he walked over to this little girl and there was just this clearly treasured piece of paper. It was actually printed out in a nice sort of background and our CURE kids coordinator there in the hospital had printed this out for this little girl. And for her, it was like this just this absolute treasure that she had, the fact that she had this message from someone on the other side of the world. There was a photo attached to it. And so these kids, actually a lot of them when it is possible and appropriate will print out some of these messages and theyll take some of them home with them as, like, a reminder of their time in the hospital and the fact that there was someone who was paying attention to what they were doing. The fact that the world is bigger than what they thought it was prior. So it has a big impact on just even what they can physically engage with. You know, well, thanks. I mean, its been a real privilege for us to be able to do this with you. You know, we get feedback, positive feedback, from our players all of the time, from our users that they love being able to do this. You know, some people say its their most touching part of the game for them because they feel this direct connection and then they can go right from the world to the site and follow the story. So they cannot just send a note and be done with it but really get involved, you know, deeply, in their lives. Let me ask you another question if I can. You know, not to steal your thunder but, you know, maybe what are some of the things that you are hoping to release, you know, on the site, you know, for your mission? Yeah, so in the in the next several months, were actually, were hoping to build more sort of integration partnerships a lot like we have done with the Better World but not like in the online gaming space so much as partnerships with organizations that are hoping to actually engage us into their their sale process, right? So the idea of cost marketing and attaching a real world impact to online sales, were perfectly positioned to be able to work with organizations and be able to say, you know, in this process of, you know, of fulfilling, you know, your checkout card, why not take a charitable action right now? You can actually have a real impact on one particular persons life and if youd like to, you know, check the box, you can get updates on what happens to the person that your additional five dollars, ten dollars, or in one case were talking about even a monthly giving program with one organization that has a subscription model, will actually have in a real persons life. And so weve got sort of the technology capability to be able to create those sorts of integrations and were looking to release a couple of those over the next couple of months. So that is sort of, you know, from a partnership perspective, one of the things were really excited about. We even have weve got some great stuff were going to be doing with even some of the tools that we use where organizations are choosing to, you know, sponsor a number of surgeries and use that experience as a way to engage their audience and say here is something we care about. It builds some incredible good will for the organization but also creates a new opportunity for us to be introduced to CUREs mission to be introduced to a new audience. Weve recently in the last few months, we release an iPhone app and were about to release also an Android app. So you can actually carry the updates of your kids, the kids that youre following from cure.org, on your phone in an experience that actually part of the reason we built it is because we wanted to create another venue to be able to send a get well message. The idea that you can go ahead and record a video of yourself and then have it sent is sort of there as part of your phone experience. So that has been released for iPhone but then itll be out for Android probably at the end of this year. Then weve taken responsive design were starting to take responsive design really seriously. Weve always known that its important but now we finally have the resources dedicated to say that the experience of engaging with our experience online, it should be accessible regardless of the device that youre on. So those are all things that are sort of on the pipeline just on the online side. There are tons of things were doing on the operational side to deploy electronic medical records and were doing some really innovative things on that side as well. But thats kind of the experience we have with folks here in the last. Thats really cool, Joel. I appreciate the sneak peek. You know, you cant always, you know, in our business give people an update of what is coming so its neat that you can let people know what they can expect. And I actually didnt know about the smartphone apps. Thats really great and I love that youre able to actually send video as well. Have you gotten good feedback about that from the hospitals? Yeah, oh yeah. Good experiences so far. I still feel like weve got some ways to go in promoting it but were making cool stuff. So making cool stuff and helping us heal kids, so. Hi, Joel. This is Ray again. I am sitting back in awe of what you guys are doing. I guess one of the things that sort of strikes me as being in the tech world, you get to do all of the things that you love, but in the broader context all of this is changing the greater good. From a mission that is doing amazing things in the world, that started in a very small way and now its just making a huge impact. We need to take a break right now. When we come back, you can ask Joel some questions about CURE and the good work they are doing in the world. You can call in at 1-866-472-5788. Thats 1-866-472-5788. You can also send us an email at Radio at BetterWorldians dot com or you can tweet us a question at Twitter dot com slash BetterWorldians. Be right back. >> Stimulating talk all the time. The number one interest talk station where your opinion counts. voiceamerica.com. >> How can we make it a better world? >> I think we can make it a better world if we had peace among each other. >> Everybody needs to help their neighbor and then it will spread from there on. >> I should do more. >> I could do more. I spend so much time on Facebook. >> How much time do I spend on Facebook? >> Probably more than I should be spending. >> I would definitely give back if I could find the time. >> Now you can help others just by playing a game on Facebook. Its called A Better World. Share your hopes and dreams, do good deeds, make a difference, and have fun. Become a betterworldian. Join a community where all good deeds get rewarded. Log in today to find out how you can make a difference every day. >> For more information, visit facebook.com/abetterworld. >> Ready to chat about your favorite soap operas? The daytime discussion is here with Dan J. Kroll and Soap Central Live. For the past fifteen years, Dan has been dishing and discussing on Soap Central dot com. And now hes taking the talk to the airwaves on the VoiceAmerica Variety Channel. Youll go behind the scenes with the biggest stars of daytime along with guest commentary from the Soap Central columnists. And well take your questions and comments during our live show. Soap Central Live, every Friday at 6 PM Eastern time, 3 PM Pacific on VoiceAmerica Variety. >> Ask the experts. Call toll-free right now. 1-866-472-5787. >> Hello? >> And ask our all-star team to answer your question. That is 1-866-472-5787. >> Thank you for calling. >> Voiceamerica.com. >> This is BetterWorldians Radio with a family team of Ray, MarySue, and Gregory Hansell. To connect with the show today, please call us at 1-866-472-5788. That is 1-866-472-5788. You may also send us an email to radio at BetterWorldians dot com. Now back to BetterWorldians Radio. Ray, it looks like we have a call for Joel. Lets see. Can we put that call through? Hi. How are you, John? Hi. Im John. Im calling in from New York. Good morning to all of you Better World people and Mr. Worrall. I do have a question. With I dont know if this was covered. With all of the situations in the world today, how does CURE choose where to place the facility because youve got millions upon millions of people who need help and I imagine it is difficult to choose one place versus another. How do you go about doing that selection process? Thats a great question, John. So, well, one of the things thats worth noting is that weve gone through our first were only fifteen years old as an organization and weve got a strong goal over the next five years to actually increase capacity in the places that were already operating. So our goal is five years from now to be treating twice as many kids in the places that were already working but still with an eye on what does it mean for us to choose to open a new facility in a new location. So we look at a number of factors. First of all the need. Is there truly a need for the kind of specialty care that we can provide? Is there an environment where it is possible for us to be able to do the kind of top quality work that we want to do? You know, even though there may be some complexities, it is possible for us to be able to run a hospital that, frankly, Id be okay taking my kids to. And then and then on top of that, is there an environment where it is possible for us to fulfill our full mission which is three parts; the top quality medical care, great training, and then treating the emotional and spiritual needs of the people that were serving. Then on top of that, its really about meeting people who are capable of helping us achieve those goals, so both with the kind of contacts on the ground as well as frankly donors that are capable of saying, you know, were willing to help underwrite the cost of what it means to go ahead and create one of these facilities and help sort of launch and incubate it through its first few years of operations. And for us, a building project is not like a hospital project in the United States, you know, where you can spend hundreds of millions of dollars on a facility. It cost us, you know, five million dollars or so, three to five million dollars, to build a facility. But then we need some support on what its going to mean to operate those hospitals over the course of a period of time. So when all of those factors sort of play into each other, we as an executive team feel like, okay, well this is an opportunity that makes sense for us to engage in. Then of course there is a faith component to it for us as well. Is this what we feel like we are to do? So all of those things play in but it is a complicated issue and we get people calling in all of them time that are looking for these kinds of services and we need to be judicious about the way we choose to grow. Sure. How many countries are you in now? Yeah. The hospital in ten of them right now, yeah. Thats amazing. Well, all I can do is wish you the best of luck. I dont know if anybody has any questions for me but I wish you all the best of luck with this because what youre doing is wonderful. Thanks for calling, John. I appreciate it. We also have some tweets coming which I think is pretty neat, Joel. And thanks to Jen and Stephanie in our studio who are helping to live tweet this event. Everyone can take a look at what we have going on on Twitter at Twitter dot com slash BetterWorldians. One tweet that came in from at Sam the Strike, do you have to deal with any local or national governments and any issues with that, Joel? Absolutely, yes. So we because what we do is so specialized, we generally have very positive relationships with the national government and the ministry of health. That is not uniformly true. I mean, there are challenges in any sort of developing world context, especially when youre trying to run a top quality facility and experience. But were thankful for the fact that we can leverage some great relationships both in the countries in which we operate as well as great support from the US government, you know, from our representatives, from our senators. We have great relationships with organizations like USAID. One thing that youve told me personally that I would love to share is that, you know, regardless of what country youre in and the issues that you face, that you guys never take part in corruption. I think thats, you know, a very morally high ground place to be and I think thats wonderful. Yeah and frankly thanks for saying that but it is also it is the only operationally effective thing for us to do too because if you start paying bribes in order to get supplies into the country, that word will spread. So we just set the line to say we dont do that period, even if it means that were waiting. Right. Right. One other tweet that came in is just how do the community members who need the surgeries find out about the hospitals? Yeah, so we it depends on how long weve been in a country. You know, in a place like Kenya where weve had a hospital since 1998, we have a tremendous network of local pastors and community leaders who are really the eyes and years on the ground. So when we come into a town to do a clinic for identification and long-term follow-up, well have hundreds Ive been to these clinics before five to six hundred kids that are waiting in line for us to even be able to identify to say can we do something for this child or not? And early on, like in a country say, Niger, which is in West Africa, weve only been there for two or three years, well build partnerships with, say, local radio or local television to be able to sort of get the word out to say do you have a child that has got these sorts of circumstances? Well then you should come to the CURE hospital because there might be something we can do for you. Okay. Also, Joel, we have a couple of emails that just came in. One is from Josh S. He says do the costs of the surgeries vary from country to country? Is it harder to get them done in some places more than others? Yes. Like from an actual operational perspective, it does the costs do vary depending on the location but we, because we operate, were not a bunch of individual hospitals, were operating as a network, that allows us to sort of be able to distribute and bear those costs across the network and that is why we can come to our donors in the United States and say what we need to do is raise one thousand dollars for every surgery. Every surgery isnt exactly the same cost but for us it is all about ensuring that that child who we have made the commitment to, we can fulfill that commitment and the next person in line is going to be able to get care because of the support were raising. He wanted to note. Do you train the people to the does your group go and train the staff, the medical staff there? Absolutely. So part of the reason that our model works the way it does, were not a short-term surgical group like say a doctors without borders. Were all about permanent facilities with facilities that are owned and managed by us with staff that work for CURE International, and our whole focus is around training nationals to be excellent at their craft and providing a place where it is possible to do great surgical work. So if you look at our organization, were sixteen hundred employees around the world. There is about a hundred less than a hundred and fifty of us that are Westerners. And forty of those people are the people in the United States who do all of the support work for those sixteen hundred people. So everybody else really is indigenous to the culture in which they are operating. So for us, training is just part of the mission. You know, we have a residency program and so we have doctors who are working aside us and even in some cases leading the programs who are nationals who have a focus on not only treating kids but training the next generation of people to be great at their craft as well. Wow. Thats fascinating. Just one last email from Andy and he says without the necessary surgeries, how many children will actually die from hydrocephalus every year? Yeah, I dont have the exact numbers at the tip of my tongue but what Ill say is the mortality rate for children is extremely high, I mean extremely high. So if you have hydrocephalus, the stages are brain damage, blindness, and leading eventually to death. It is almost certain, especially if you have a severe case, that you will not survive past your fifth birthday and that if you live with the condition for very long, you certainly will experience permanent brain damage. Well, thanks so much. Thanks, Andy, for submitting that question. Joel, I just wanted to ask is there any specific story that you would like to share with us about some one specific child? Yeah. Thanks thanks for asking, Ray. You know, when we talk about all of the numbers and the cool technology, that is all very gratifying maybe on a personal level, but the thing for me that is always the most important is the impact that is happening in each individual persons life. And our CEO told me a story just recently about a trip he had taken to Ethiopia. He was in a clinic where we were identifying children to give this care that we provide. And this little girl named (Indiscernible), she was twelve years old from Ethiopia. She traveled five hundred miles to come to CURE and she was wearing flip-flops and one foot was completely normal. The other foot was extremely clubbed. It was actually bent backwards and if you can imagine, she was still wearing the flip-flop but it was on the top of her foot because of how twisted her foot was. And she sat down with our surgeon and our surgeon looked at her and in about a minute looked at her and said, you know, were going to be able to fix this. And so Dale, our CEO, looked at this little girl, (Indiscernible), and asked her, you know, so with the world of possibilities that are now available to her, you know, to be able to go to school, to be able to have kind of a life more life opportunities because she was going to have this new capability to be able to walk, what was her goal? What was her dream? And her reply was I want to be like my friends. These kids, they want to be they want to have some sense that they are loved and a part of their own societies, that they can have whatever normal life looks like in their context. And the reality is, with all of the big highfalutin dreams we might have for what their future could be like, that really what these kids want is they want to be like their friends. They want to be able to play with their friends. For me, that just, like, cuts right through the core of of why were doing what were doing and why is this so important and why its such a privilege to be a part of this kind of work. So just that youre thinking about this issue and maybe as people may go check out what were doing at cure.org, just think about the fact that these kids, theyve got simple dreams and we have an opportunity to help them achieve them. And you certainly have. I think just a few statistics for our audience. I think there is fifteen percent of the total world population of over one billion people that live with a disability and eighty percent of these people live in developing countries like the ones that you are actually attending to on a regular basis. Just another footnote. At CURE, ninety-six percent of every dollar that comes in goes directly to play for the care of these children and the families that cant afford it. So the work has a very big difference even though, as weve talked about, how it touches the lives and individuals is probably the most important and touching things. But its amazing the work that you have done and youre to be complimented. Im really happy about the partnership between CURE International and a Better World, our social game. Im grateful for it as well. Well, we appreciate your partnership. You can find out more about CURE and help them achieve their mission by visiting cure.org. Joel, once again I would like to thank you for joining us on BetterWorldians Radio. Its been a great broadcast. Youre very welcome. You can join us next week for our show developing the whole person in the developing world with Mick Quinn and Deborah Prieto from the Integral Heart Foundation in Guatemala. We would like to thank all of you for joining us today. This has been our actually our first broadcast. Were very, very happy to have this opportunity to spread the word about the good deeds that are being done in the world and encourage all of you to take one small act in the next week or so to make a big difference. Thank you for joining us. You can join the Better Worldian community at BetterWorldians dot com. Until next time, everybody be a Better Worldian. Its going to make a big difference. Thank you for joining us. >> Thank you again for helping make the world just a little bit better this week. Please join your hosts Ray, MarySue, and Gregory Hansell next Thursday at 11 AM Eastern time, 8 AM Pacific, on the VoiceAmerica Variety Channel. We hope weve inspired you to do one small thing to help make a big difference. Join us at BetterWorldians dot com to tell us what youve done to change the world.